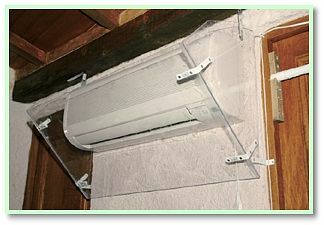 In the House: Enclose the air conditioner within a clear plastic case (see photo). 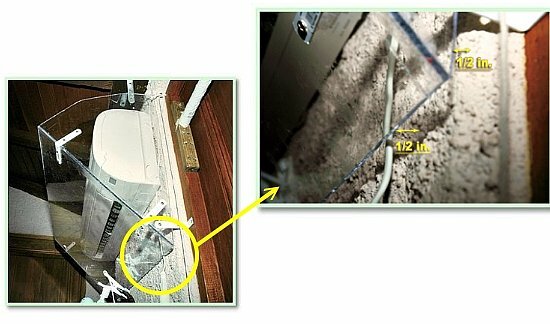 Leave the upper side wide open and the lower side about ½-inch from the wall. 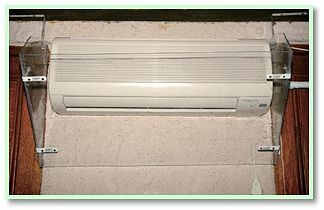 This way, the air will circulate upward and cool the whole room instead of hitting your body parts. 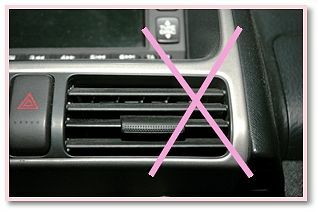 In the Car: Turn the air conditioner vent upward and away to avoid the same effect, as well as to divert airflow from the eyes, which dries out and tires the eyes and is especially bad while driving. 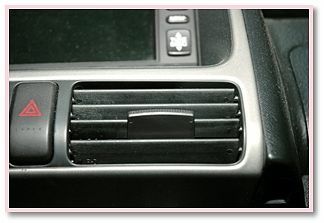 In the house & In the Car: When wanting to cool off indoors, slowly increase the air conditioner level. Before stepping outside, slowly turn to warmer air, so as not to be too different from outside temperature, thus protecting the body system from sudden extremes when you get in and out of the heat and the air-conditioned environments. *If "hit" by cold air that results in pain in some parts of the body, just shower that part with warm water for extra time or blow warm air from hair dryer on it. Repeat till better 2 or 3 times per day.